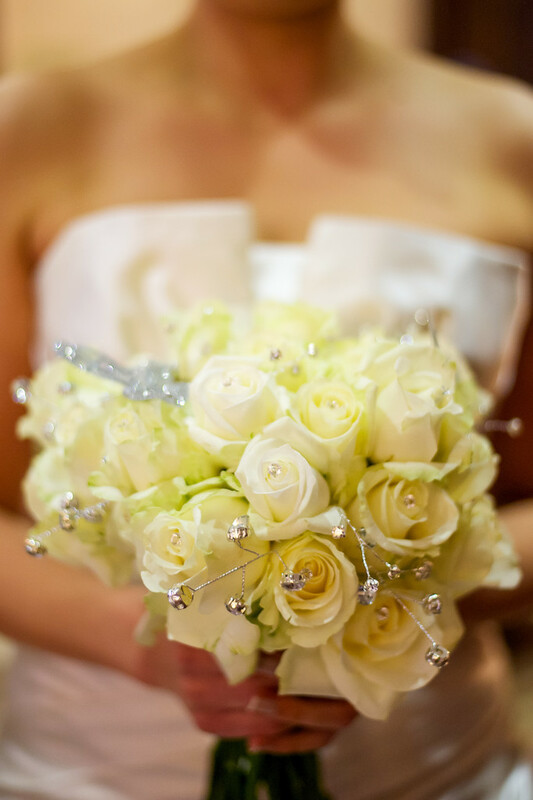 Flowers are an important part of a wedding day and making sure we photograph them is an important job for us. Weddings can be very expensive affairs with many items contributing to the overall cost. We do our best to record as many of these small details as we can so when you come to look back on your day from sometime in the future you can be reminded of all the work that went into making your day so special. In this photograph from a wedding at Kenwood Hall Hotel in Sheffield our Bride holds out her flowers in front of her for this pose before she enters the room to meet her husband to be and their assembled guests for her wedding. This wedding was in early November and although it wasn't the warmest of days the sun did come out and throw a wonderful late autumn light onto the changing colours of the leaves. One of my favourite times of year as I simply love all the oranges, reds and yellows of the autumn colours. In the image above the bride had also amassed a collection of horse shoes to carry with her bouquet as she enjoys a joke with her new husband.